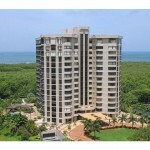 St. Lucia at Pelican Bay is a high rise condominium community located in the central portion of Pelican Bay. Built in 1990, St. Lucia at Pelican bay is comprised of 15 floors for a total of 70 condominium units. The homes in this community range in size from about 1,300 to 1,600 square feet of total living space. 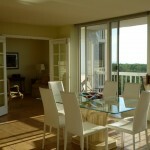 These units feature amazing views of the Pelican Bay preserve and the Gulf of Mexico. St. Lucia at Pelican Bay homeowners may lease their units once per year with a 60 day minimum term and is also a pet friendly community. 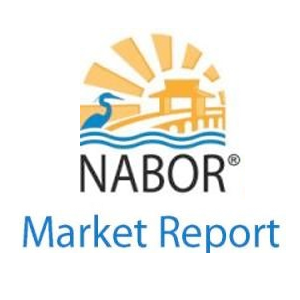 This central location means being so close to everything the Pelican Bay area has to offer. Contact us today to take your personal tour of this beautiful community! 6351 Pelican Bay Blvd., #S-18: This spacious unit has two bedrooms and two baths, spanning over 1,913 square feet of living area. This beautiful second floor two bedroom home boasts Pelican Bay coastal living at its best. With the building just steps away from the tram and tennis courts, the St. Lucia community has one of the best locations in Pelican Bay. The interior of this garden home has been completely redone with new carpet, tile, and hardwood floors. The bathrooms are updated with granite counters and upscale wood cabinets. The original den and third bedroom have been combined into a fabulous large family room. Being an end unit provides additional windows and light in the living room, dining room, and kitchen. St. Lucia Gardens also enjoy access to all the amenities of the St. Lucia tower, including the pool, fitness center, and community room. 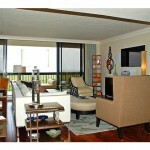 This unit is being offered turnkey furnished, which means the unit is vacant and easy to show in a moment’s notice. Being vacant means instant availability, which is perfect if you need to purchase and move in right away! 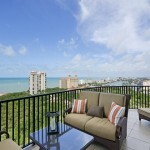 The combination of space, views, and amenities makes this one of the best units in Pelican Bay for the price. Being close to the beach, the gulf, and all sorts of entertainment means you will never be bored in your new home. Having immediate availability is great if you need to move in soon. With the combination of all these advantages, it is the perfect for you to contact us today for your own personal tour!